Scientists will study the DNA and name unknown corals, starfish, crinoids and sponges that members of the National Office of Oceans and Atmosphere (NOAA) discovered in a recent deepwater exploration of Puerto Rico and the US Virgin Islands. where they already spotted the remains of an underwater earthquake and a psychedelic jellyfish. The coordinator of the mission "Deep Ocean 2018" and Ecuadorian marine biologist Daniel Wagner explained to Efe today, "to name a species you need a sample described and when it is verified, the person doing that analysis has the honor of giving it a name "
He also a member of NOAA's Office of Oceanic Exploration and Exploration added that during the expedition, which started on October 30 and ended on November 21, 19 dives were carried out in places "that had never been explored." 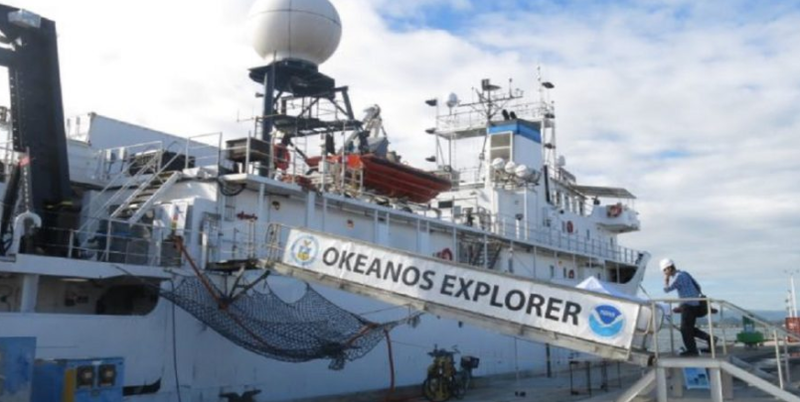 The explorers captured the images on board the ship Okeanos Explorer and using a last generation vehicle operated by remote control (ROV, in English), capable of submerging at depths of 6,000 meters. Thus, the explorers -49 of them aboard the ship Okeanos Explorer- found cartridges and "chillos" (snappers) unknown to more than 100 meters deep, an unusual distance of life of these species. "The important thing is that there were very few photos or videos of these species, but now we have a lot of data that we collect from their natural habitat about how they behave, what they eat and how they move," explained Wagner. Wagner also said that the expedition was attended by 63 scientists from 7 countries, including several from Puerto Rico, and 37 institutions. "My job is to coordinate this type of expeditions and work with the scientific community for areas of research and exploration and then execute the expeditions, to later analyze and generate reports and run expeditions," he explained. 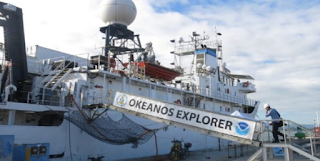 Wagner added that the last two explorations in this Caribbean area had also been with the Okeanos Explorer ship in 2015 and the other in 2013. In this new exploration, the explorers also found a psychedelic jellyfish while exploring a mountain ridge in the area of ​​La Parguera in Lajas, a municipality on the southwest coast of Puerto Rico. This specimen, of the genus "Crossota" and called "psychedelic" by scientists, has short and long tentacles around the central part, a kind of bell or semitransparent dome with a pinkish interior. Another discovery, never observed before, was the image of a living embryo of a cat shark moving inside an egg capsule. "We had never seen the shark watch it move at that stage. It was spectacular and timely, "said Wagner, who also highlighted the number of sharks, at least a dozen, who spotted in such deep waters. Likewise, the members of NOAA witnessed a scorpion fish, sea lilies, sea anemones, a tripod fish, a sea cucumber, a squat lobster and various types of starfish and sea urchins, including a "pancake" type, and crinoids. "The majority of our planet is water, but its majority consists of very deep waters, of which very little is known. And this was the first time that data was collected from this part of this ecosystem, "Wagner added. "What is also important to know is that the Caribbean region has a lot of diversity in not so deep waters and that its ecosystems and diversity is great, because in the Caribbean we know that there are many formations of mountains, canyons and habitats. Its diversity allowed us to explore many areas, "he added. It was also for this reason that NOAA experts also spotted the remains of a 1918 submarine earthquake in western Puerto Rico. Wagner also explained that another purpose of the expedition was to generate enough information and data to give scientists the opportunity to raise funds for future research. "That's for local scientists to do more research after ours, and all the data we collect is accessible to the public. We hope that, even though we will not return next year or that it will take us several years, so that people know what exists in those deep waters, "he said. Wagner announced that NOAA will continue its expedition program for the next three years, exploring the North Atlantic, near the east coast of the United States, until reaching Canada and part of the European Atlantic, in order to compare the deep waters of these areas. with the Caribbean.